This Friday we’ll be taking a break from wine and tasting Black Box Spirits from 3-6pm. 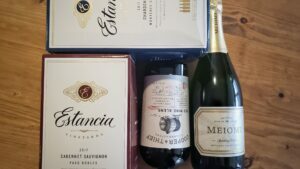 You may have had wine from a box, and back in January we tried wine from a can, so now we’ll be sampling spirits from a box! Portable, convenient, inexpensive, and it fits in your fridge or freezer with an easy-to-use tap! 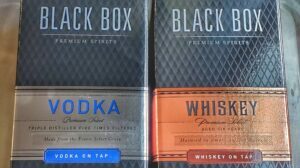 Come taste some mini cocktails or neat smaples of Black Box Premium Whiskey & Vodka! Don’t forget to get your weekend wines (or spirits) every #FreeTastingFriday with us after 3pm and #TryBeforeYouBuy! 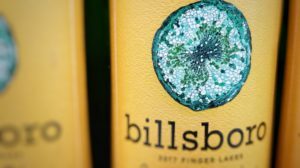 This Saturday, we have a special tasting with Billsboro Winery here from 3-6pm pouring their excellent wines right before St. Patrick’s Day! Celebrating 10 years this year, Billsboro is still a young winery, but has Vinny & Kim Aliperti make serious Finger Lakes wines; winning the Governor’s Cup just a couple of years ago for their cool-climate Syrah, and continuing to produce some high-quality products made from grapes grown at Sawmill Creek Vineyards on Southeast Seneca. They’ll be sampling their: Sauvignon Blanc, Pinot Gris, and Unoaked Cab Franc! Don’t forget to get your weekend wines every #FreeTastingFriday with us after 3pm and #TryBeforeYouBuy! This Friday we have Damiani Wine Cellars here from 3-6pm pouring their fantastic Seneca Lake-grown, Finger Lakes wines. 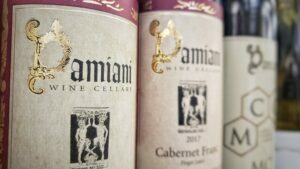 Damiani continues to score well on many of their dry reds and produce crisp, nuanced whites representative of our region. 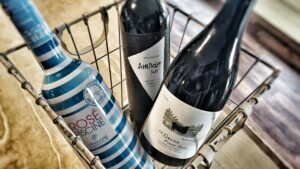 Don’t forget to get your weekend wines every Free Friday Tasting with us after 3pm and “try before you buy”! Love Pinot Noir? We’re going to compare Finger Lakes, California, South America, New Zealand, Germany (Spatburgunder), and France (Burgundy) and discuss why this grape is all about location, location, location. 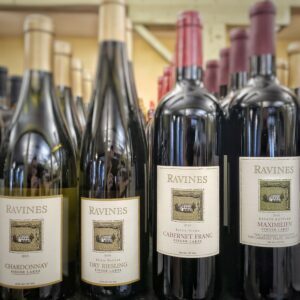 This Friday we have Ravines Wine Cellars here from 4-7pm pouring their highly-rated and well-made Finger Lakes wines from 4-7pm. With the winery sold out of their Cabernet Franc, we have some of the last bottles. Stop on down to taste with Joanne and try these excellent examples of Finger Lakes wine and see why Ravines continues to receive praise in publication and from their customers! Don’t forget to get your weekend wines every Free Tasting Friday with us after 3pm and Try Before You Buy! Featuring the new Johnnie Walker “White Walker” Scotch blend of mostly Cardhu & Clanelish. (Mixers will be available.) There’s a magical message that appears on the bottle when chilled, and this is the first ever Blended Scotch recommended to be served in this way! Not a whisky drinker? 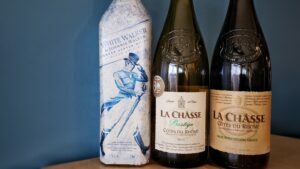 No worries, we have Rhone to taste, too… both an organic red and white Cotes-du-Rhone from La Chasse! 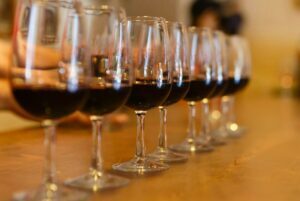 Don’t forget to stop by and taste with us every Friday after 3pm for our “Free Friday Tasting” and try before you buy!